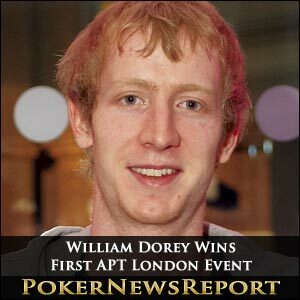 Englishman William Dorey has taken down the first ever Asian Poker Tour (APT) stop in Europe with success in the £500+£45 buy-in main event at London’s famous Fox Poker Club. 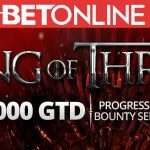 The south London pro battled through the 125-player field that created a prize pool of £62,500 to set up his heads-up encounter with Mark Karoullas, which the former won to leave with £17,130 – more than enough to celebrate the Chinese New Year. Dorey – who now lives in Hove on the south coast of England – had eliminated fellow Englishman Steve Watts in third before seeing off Karoullas once the final table had been reduced to just two survivors. This victory is Dorey’s biggest live tournament cash, surpassing the £16,470 he pocketed for finishing fifth at the £1,000 buy-in No-Limit Hold’em re-entry Monte Carlo event at Nottingham’s Dusk Till Dawn in mid-December last year. The 25-year-old also started off this year well with 17th place in the €2,500 buy-in World Poker Tour (WPT) Dublin main event for $9,154. 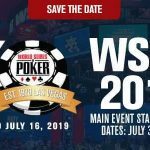 Dorey fought hard against fellow Englishman Karoullas to take a handful of pots that saw him move into a 2,000,000 to 700,000 chip advantage over his heads-up opponent. The final hand of the tournament saw Dorey put Karoullas all-in for the remainder of his chips. Dorey showed A♣ 6♥, but must have been disappointed to see Karoullas place A♦ 8♥ on the felt to be well behind. However, the flop revealed Q♥ 6♣ Q♠ to send Dorey well in front with two pair. The 4♥ on the turn changed nothing to leave Karoullas requiring an ace or eight to stay alive. But the 9♠ on the river was no good and Karoullas exited as runner-up for a £13,600 pay day. Grosvenor Victoria Casino in October of 2009 for £10,500. Karoullas also secured a second-place finish at last year’s £200 buy-in No-Limit Hold’em short-handed event in August for £4,090 as part of leg four of the Grosvenor United Kingdom Poker Tour (GUKPT) in Luton. Meanwhile, another Londoner, Watts, took third place for £10,000, adding to the $51,063 he picked up earlier this month at the WPT Dublin €2,500 No-Limit Hold’em main event at the Irish capital’s Citywest Hotel. Watts has enjoyed a profitable spell recently after he also won the Fox Poker Club’s £300 buy-in No-Limit Hold’em main event in April last year for £10,590. 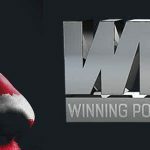 Fourth place and £5,520 went to Wolverhampton’s Surinder Sunar – the runner-up at last year’s PaddyPowerPoker.com Irish Open main event for $418,960 – while fifth spot and £4,280 was secured by Sweden’s Stefan Wittmoss, the 54-year-old managing director and editor in chief of video community PokerTube. Turkey’s Tolga Kuru finished in sixth for £3,020, while Canadian Anh-Tuan Hoang exited in seventh place for £2,400. The top 10 was completed by a trio of English natives in eighth-placed Duncan Mackie (£1,780), ninth place finisher Alex Van de Weyer (£1,150) and Charlene Coleman (£940). Some big-name pros ventured to the Fox Poker Club to take part in the main event, but Hendon Mobster Barny Boatman and Romano Pizzo were among those who failed to cash as places 11 to 13 were filled by London’s Priyan De Mel (£940), Sweden’s Karl Gustafsson (£940) and yet another Englishman in Phil Long (£900). The APT’s London Week of tournaments also included a £160 buy-in No-Limit Hold’em side event that saw Canadian Nadir Keshavjee take the honours after a six-way split – including Barney Koumis, Ziyang Chang, Katt Wang and Jen-Yue Chiang – had been agreed. 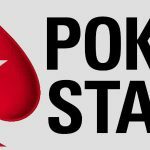 The next big poker tournament at The Fox Poker Club arrives this weekend, when the regular £300 buy-in deep stack event takes place at the Shaftesbury Avenue venue.